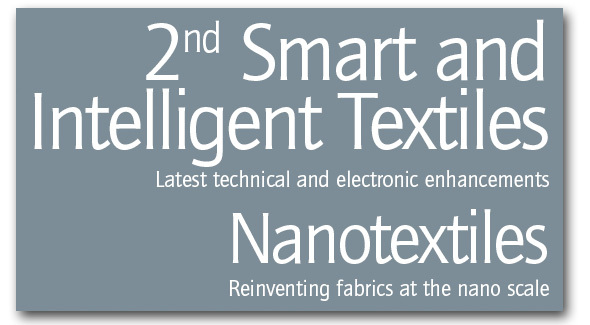 IntertechPiraâ€™s 2007 edition of the Smart Textiles and Nanotextile Conference will take place from Dec 10-12 in Prague, Czech Republic. Itâ€™s the second time Smart and Intelligent Textiles will be the focus of a high profile conference. Top experts will present and discuss the present status but also the future of Smart, Intelligent and Nano Textiles. Highly interesting presentations and discussions are guaranteed looking to the speaker list: Angel Chang will speak about ‘Advanced textiles in high fashion applications‘, Winston Shih, Advanced Products Manager, The North Face who is also the Chair person, will talk about â€˜Keeping technology on the forefront at The North Faceâ€˜ and Christian Stammel, CEO of Navispace will present â€˜Solar Technology: a key technology for the wearable electronic marketâ€˜. This list alone makes me counting down the days until Christmas the Smart and Intelligent Textiles Conference in December.